Thorneycroft Solicitors is one of the UK’s leading firms of solicitors specialising in catastrophic and serious injury claims. Our dedicated serious injury team, led by Mark Belfield, are all qualified lawyers who have the experience and resources to ensure our clients receive the highest quality legal advice and the best possible compensation settlements. When making a catastrophic injury claim, it is vital that a claimant finds a solicitor with extensive experience and knowledge of the complex process involved in this type of claim. This includes a thorough understanding of the rehabilitation process and the importance of assessing the potential future needs that a catastrophic injury compensation claim needs to take into account. Our solicitors not only have an excellent track record for settling serious injury claims, they also have a proud history of providing clients and their families with care and support in what can be an extremely traumatic period in their lives. 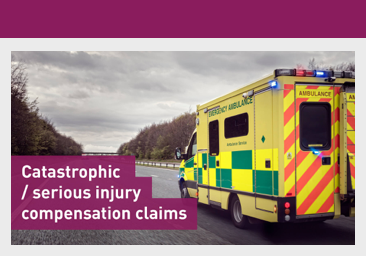 In the past year, our serious injury team have helped our clients receive over £20,000,000 in compensation, with individual serious injury claims awarded damages totalling as high as £4,500,000. Our team’s success is not only defined by the amount of damages we secure for our clients, but also the approach we take and the knowledge that we have helped ensure our clients receive the best possible rehabilitative care in the wake of their accident and that the claimant’s loved ones also receive the physical, psychological and financial support they need to help the claimant make the best recovery possible, even after the claim is settled. We also work alongside and actively support some of the leading serious injury related charities in the UK to ensure that both our clients and their families receive the best possible rehabilitative care and ongoing support for their serious injuries, in addition to the compensation they are awarded. We are able to provide our clients with details of these charities who provide invaluable support to those who are injured and their families. As well as handling the legal and financial aspects of serious injury compensation claims and working closely with relevant charitable organisations, we also work with applicable ancillary professions. This enables us to ensure our clients obtain the correct rehabilitative treatment whether it be short-term physiotherapy for less serious injuries, right through to claims for surgery and prolonged therapies in cases of long-term serious injuries. Our team always prioritises a client’s recovery above all else and will ensure they do all they can to enable each client gets the treatment they need as soon as they need it. I worked with Lisa on a very tricky amputation case involving emotional issues and a 7 figure value. She is highly professional, a great guide, hard working and successful for her clients. Lisa is a superb Barrister who excels in putting clients at ease, even in the most complex and difficult of cases. She is well organised, and dogged in her approach with opponent solicitors. If I was involved in an accident I would want Lisa in my corner! It is a pleasure to work with Lisa Smith, a lawyer who easily grasps the issues that create difficulties for case managers and works collaboratively to achieve the best outcome for our mutual clients. 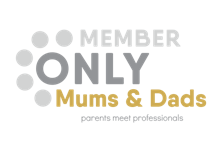 Lisa deals with her clients with dignity, humour and great understanding. It is apparent that she understands the process thoroughly and genuinely cares about our clients. She sees that this is about quality of life, not just a ‘claim’. In recent years we have developed a close working relationship with Thorneycrofts. We find the team there understanding, proactive and supportive, ensuring the right resources are available to move the rehabilitation process forward without interruption. 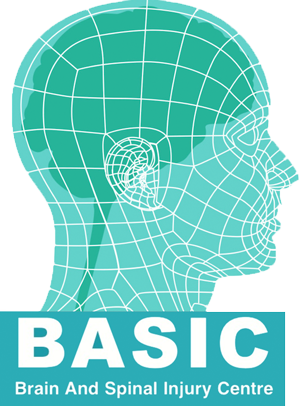 We value their attitude and expertise which is helpful for patients and clinicians alike. We understand what is involved in a catastrophic injury compensation claim and the importance of identifying the long-term physical, social and financial impacts the injury will have on a client’s future needs. This means that when instructing Thorneycroft Solicitors our clients do so safe in the knowledge that our priority is to ensure that they each receive and retain the maximum level of compensation possible and that their claim will be progressed professionally and without delay. Our team will work to secure interim payments throughout the claim before securing the final settlement. This can help reduce the financial burden for claimants who may face difficult financial implications as a result of their accident, including having to take time off work or pay for essential rehabilitative care and travel costs associated with such treatment. We understand the need for a personal approach when it comes to handling a serious injury claim. In most cases our solicitors will visit our client and discuss the claim face to face, we feel this builds the relationship with our clients and helps them feel supported at what can be a very traumatic time in their life. We will assess from the outset who we consider is responsible for the accident and ensure all the evidence is gathered in support of our client’s case. Our clients will then be examined by a medical expert in the field of their injury who will then complete a report on their injuries. If our client has suffered multiple injuries they may need to be examined by experts in several fields. When handling a catastrophic injury claim, we ensure a dedicated and experienced case manager is appointed. They will assess our client’s rehabilitation requirements and oversee all aspects of rehabilitation from start to finish, including visiting clients at home or in the hospital; anticipating and facilitating any rehabilitation needs; obtaining interim payments if possible; ensuring the client’s family have the support they need; as well as advising on post-settlement requirements.